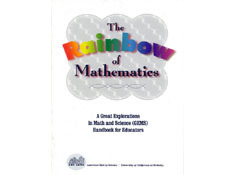 The Rainbow of Mathematics uses the metaphor of a rainbow to explain new approaches in modern mathematics education. Inspired by a presentation by LHS math educators, this handbook defines the major mathematics strands in GEMS and makes accessible the recommendations of the National Council of Teachers of Mathematics (NCTM). The handbook discusses the mathematical strengths of many guides in the GEMS series—including guides for early childhood, more advanced chemistry and physical science guides, guides that focus on mathematics, and guides that achieve a powerful integration of math and science. Do you know what discrete math is? Read this handbook and find out! 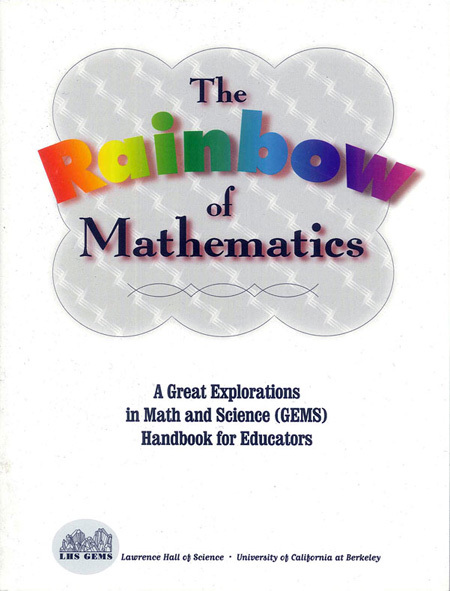 This handbook will help teachers who use GEMS take advantage of the many math opportunities spread like a rainbow throughout the entire GEMS series.